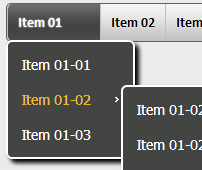 How can I change the margin between submenu items in css3 menu buttons? Q: I am using CSS Menu 3.1 and I do have a few problems. How can I change the margin between submenu items?